Wales captain Ashley Williams has dismissed talk that Thursday night's UEFA Nations League clash with the Republic of Ireland is a grudge match. The two sides met in 2018 World Cup qualifying last year and were involved in a couple of controversial games. Republic captain Seamus Coleman suffered a double leg fracture in a 0-0 Dublin draw that often threatened to spiral out of control. The Cardiff return, which the Republic won 1-0 to end Wales' World Cup hopes, was another physical contest which saw Joe Allen forced off early on with concussion. "There is an element of the past, but it's up to us to try and block that out and concentrate on the game," Williams said. "I don't see it as a grudge. We're professionals and there's a lot of reasons why we want to win this game. "We haven't played at home for a while and we want to impress the new manager." Irish joy in Cardiff last October was short-lived as Martin O'Neill's side would go on to lose a World Cup play-off to Denmark the following month. But it was a chastening defeat for Wales and manager Chris Coleman left his role little more than a month later. 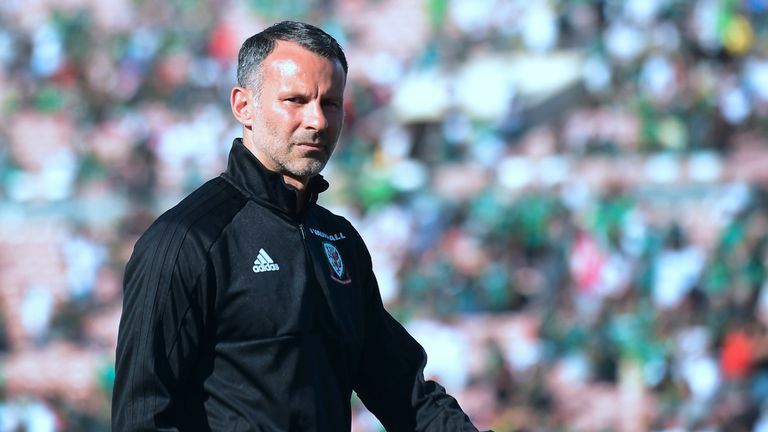 Ryan Giggs was appointed Coleman's successor in January and takes charge of Wales on home soil for the first time following friendlies in China and the United States. "The pain lasted a while, it was quite a bad one and we were all hurting a lot," Williams said of Wales' World Cup elimination. "I don't think if we beat Ireland now it would erase the pain of that night. "We missed the World Cup and we can't put that right now, but we want to get this tournament off to a good start. "We know Ireland will be physical as it's the way they play, but we are used to that in the Premier League and the Championship." On-loan Stoke defender Williams is set to win his 80th cap against the Republic and will hope for a more satisfying experience than his last appearance in May which ended with him in a Los Angeles hospital. The 34-year-old suffered a collapsed lung as well as multiple breaks on his ribs, making breathing incredibly difficult, after colliding with Javier Hernandez during the 0-0 draw with Mexico. "It was serious. At the time I didn't see it like that, it might have been to do with the morphine!" said Williams. "I just got on with it but I was in a lot of pain - the most I've ever been in. "I had to stay there for a while and then fly back over, but it was more worrying when I thought about it after the event."